TORONTO — The Ontario Motor Vehicle Industry Council (OMVIC) has started a concerted push to educate and warn consumers of long-term loans and negative equity. Negative equity occurs when the balance on a car loan is greater than the value of the car. The average amount of negative equity Canadians carried on new vehicles in the 2017 calendar year stood at $5,930, according to numbers released by J.D. Power on Feb. 2. That’s up 5.1 per cent from the previous year. The percentage of trade-ins with negative equity was 27.6 in 2017, essentially the same as the 28 per cent in 2016. 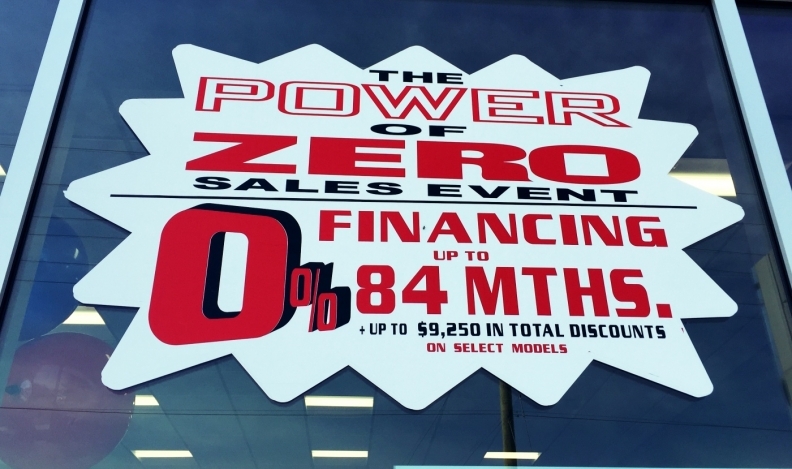 Automakers now routinely offer financing terms of 84 months — and sometimes 96 months. The Marketplace report profiled a consumer who purchased a new car on an eight-year financing plan. The car required multiple repairs within the first year of ownership and became a liability. The consumer then purchased a second car from the same dealership and carried forward $17,000 in negative equity into the second loan, requiring her to work two jobs to make the payments. This information prompted the show’s producers to send an undercover reporter into 10 dealerships in the Greater Toronto Area to analyze how salespeople explained negative equity to her when she attempted to buy a vehicle. In each case, the reporter presented a budget and a desired vehicle to the salesperson, the combination of which would require a loan of repayment period of more than five years. Nine of the 10 dealerships featured presented the reporter with a payment plan on a per-payment basis over an extended term and failed to address the consequences of carrying negative equity forward into a future purchase should the car need to be replaced before that time. against the personal financial risks that extended-term loans present, the provincial sales regulator has undertaken additional efforts in the wake of the Marketplace report. Carmichael also believes that dealers can do more to educate consumers at the point of sale and that doing so helps dealers build stronger relationships with their customers. “We have a promotional piece that we use to inform consumers about negative equity,” he said. “What we also want to see happen is to provide as much information to dealers from our end that will give them to toolbox to demonstrate to consumers what they’re getting into.